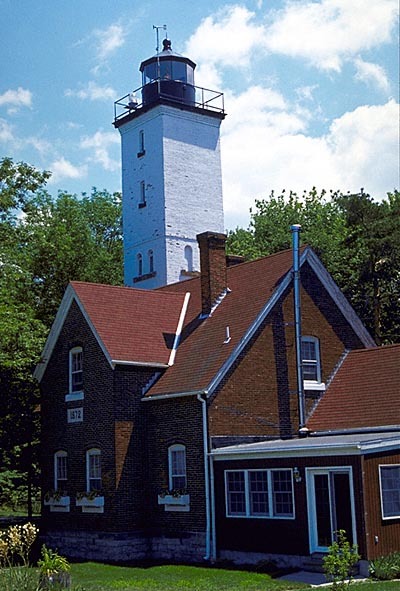 Located in a beautiful state park on Presque Isle Peninsula, this lighthouse dates from 1872. 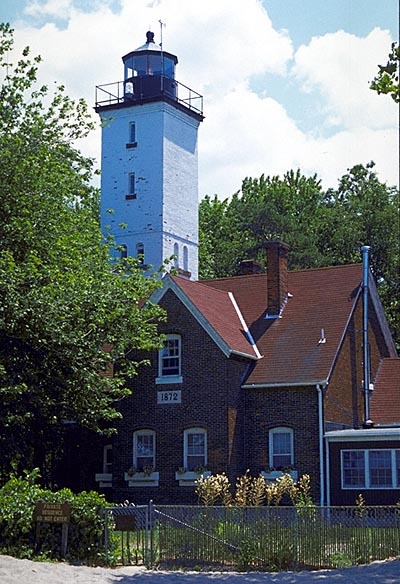 Most guide books say that the 68 foot tower shines light from a modern optic which replaced the original fourth order Fresnel lens, but the light in the tower appeared to be a Fresnel when I visited in 1999. The Coast Guard still maintains the light, but the keeper's house now serves as a residence for park employees. The grounds are off-limits to park visitors, but you can get an excellent view by approaching from the beach side. The Presque Isle Park is a jewel on Lake Erie, with miles of hiking trails, beaches, boating, and other activities.